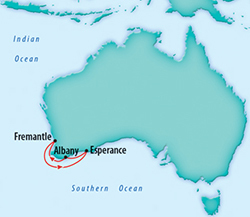 This cruise coincides with Albany’s Anzac Centenary: Albany was the gathering point for the convoys carrying the Australian Imperial Force (AIF) and New Zealand Expeditionary Force (later to be known collectively as the ANZACs), that departed from Albany in November and December 1914. This cruise program is expected to have some tie in with this occasion—as part of a wider general interest program. 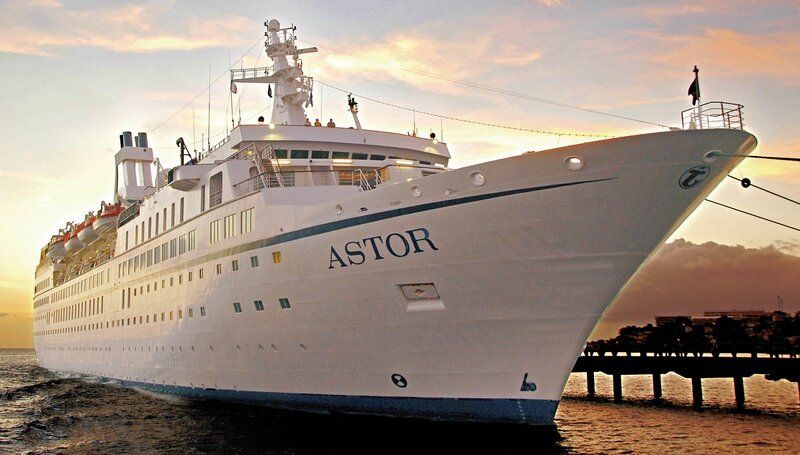 Astor is stylish 4 star fully stabilised and air-conditioned cruise liner with capacity for 620 guests. She has seven passenger decks. Her wide range of public facilities include the very impressive Waldorf Restaurant. There is a very good selection of comfortable modern cabin accommodation with individually controlled air-conditioning from Standard to Deluxe with 70% of cabins having an ocean view. Book early to be sure of a place and the best price – this is a smaller ship (about 600 passengers in all). We have a limited number of cabins available to our group. Our surveys have strong interest. If you are considering joining us the wise thing will be to plan and book early, especially if you want the better priced cabins. This is a new cruise itinerary, and whilst we have some cabins reserved for us, the cruise line has the right to recall cabins from our allocation if their sales are strong and ours are low.